« Country Party in old good style! 1. Latin is not that difficult! You can guess a lot by yourself. One of the reasons that a lot of information can be found in a rather short Latin record is due to the compact nature of the language. Latin has no articles like “a” and “the” and Latin does not use helping words like English does, and Latin syntax has constructions which can express in two or three words what in English would be expressed in a whole clause. Of course, familiarity with the language helps but you can get a general sense of what is written in a Latin text more easily than most people imagine. The reason is that although English is not a direct descendant of Latin like the Romance Languages (Spanish, French, Italian, etc.) are, an amazing 65% of our English words are derived from Latin words—a huge number of words when you stop to think that English has about 250,000 words. English words like paternal, maternal, filial, fraternity, sorority, annual and equestrian all come from Latin. When you see a Latin word like pater (father) or mater (mother) or filius (son) or frater (brother) or annus (year) or eques (horse) the English words derived from these Latin nouns can help you guess with a degree of accuracy the general meaning those Latin nouns. While thinking in those terms will not give a person the exact meaning of the Latin words, a general sense of what the Latin means is possible. 2. 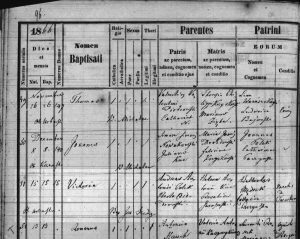 A few words about Catholic church records and their format. The Council of Trent in the mid 1500s decreed that Catholic parishes were to keep records of baptisms and marriages and burials (Later First Communions and Confirmations were added to the list of required records). The Council of Trent answered issues raised by the Protestant Reformers and was intended to be the beginning of a Catholic Counter-Reformation. The Council recognized that some issues raised by the Protestant Reformers were certainly valid and that the Catholic Church was in need of reform. The Council mandated the keeping of records but did not specify the format in which the records were to be kept. The decree regarding the keeping of records was put into practice at various times in different countries. In Poland, parish priests generally implemented the practice by the early 1600s. The first format of choice was the so called short paragraph style. 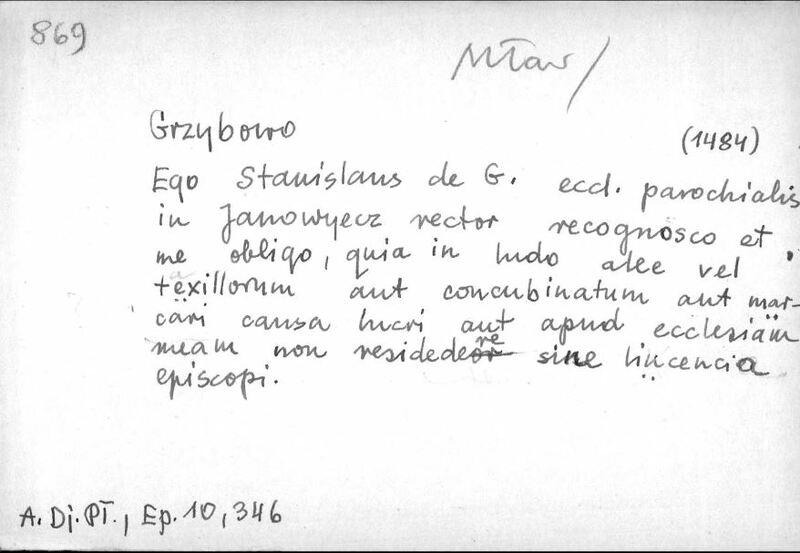 In this style the priests entered the essential information in a sentence or in several sentences in Latin and this was the style of choice throughout the Polish-Lithuanian Commonwealth. All the records you posted until this time were in the short Latin paragraph style. Paragraph style baptism record from 1697. 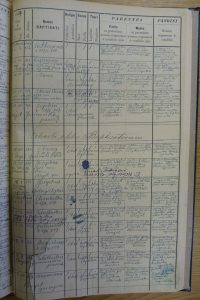 The Partitions of Poland not only brought about political changes but also resulted in changes in the way vital records were kept. 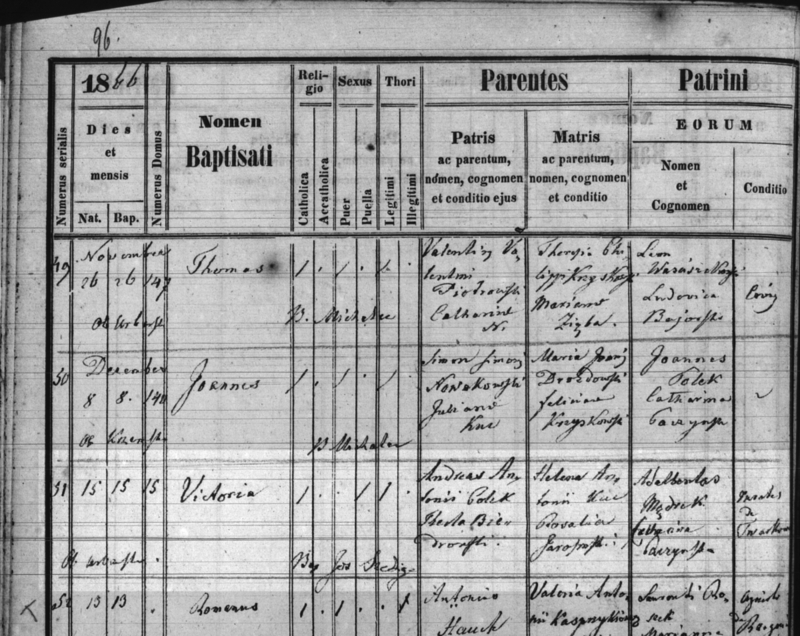 The original purpose of the keeping of church records was religious in nature—they were Sacramental records—and the “vital statistics” aspect of the records was a secondary byproduct of the Sacramental records. The partitioning powers, however, saw vital records in a different light. They wanted records for civil purposes—generally connected to the gathering of taxes and to military service. What the three partitioning countries did was to use priests, ministers and rabbis as civil officials for the keeping of vital stats. It took a while after 1795 for the system to reach its final form—largely due to the changes brought about by the Napoleonic wars with the political changes brought about by those wars which culminated in the Congress of Vienna in 1815, which redrew the boundaries of Europe. In simple form, the Austrian Empire was the first to utilize what is called the columnar format for the keeping of records. 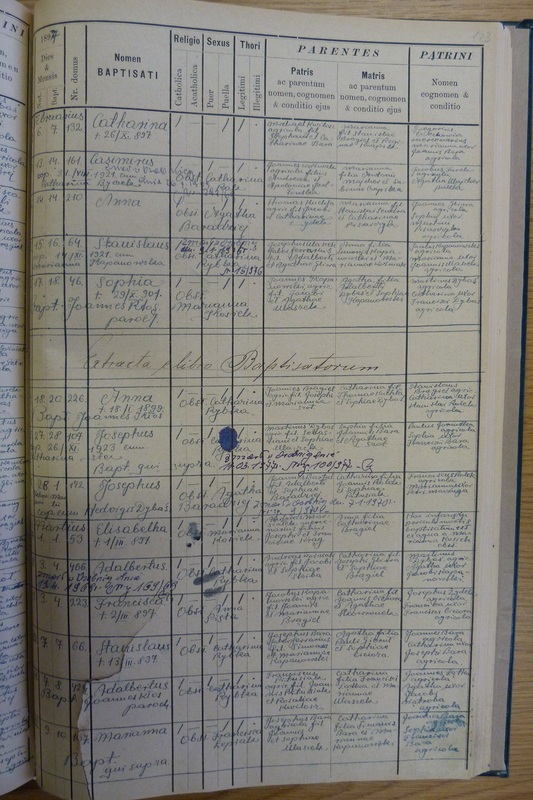 Since priests in the Austrian Partition were keeping two sets of books—one for the civil government and one for the Church—the same columnar format was used for both. This format was seen as an easier way to keep the records and a way to make sure that the same info was entered in records throughout the region. This format, kept by parish priests, continued in the Austrian Partition until the end of WWI. In the German Partition priests also acted as civil registrars until 1874 when separate civil registry offices were set up. Columnar baptism record from 1866, from Lipnica Murowana. The change from the short paragraph style to the columnar format was slower and somewhat uneven in the German Partition. However, by about 1820 the columnar format was used in the German Partition for both the ecclesiastical copy and for the civil transcripts. Both the ecclesiastical records and the civil transcripts were kept in Latin. Things played out a bit differently in the Russian Partition where the Napoleonic long paragraph style was required for civil transcripts. Again, priests, ministers and rabbis and sometimes civil officials acted as civil registrars. The language of the civil transcripts was Polish until 1868 and the Russian until the end of WWI and the type of information kept in the records was different from what was being kept in ecclesiastical records. As a result, although priests were keeping two sets of books—one ecclesiastical and one civil—verbatim copies of the ecclesiastical records were not able to be used for the civil transcripts. So in the Russian Partition the short paragraph style of record keeping in Latin continued until the end of the 19th Century in ecclesiastical records. However, since there was no universal mandated format for ecclesiastical records in the Russian Partition, priests who felt that there was an advantage to keeping the records in the columnar format did so. As far as I know, the columnar format has been the format of choice in Catholic parishes in the USA since at least the early 20th Century. So anyway, the more often that you will encounter Catholic records in times closer to our own, the more likely it will be that the records will be in the columnar format. 3. Hortulanus, agricola, cmetho – how to learn about our ancestors occupation and economical status? The notes below are concerning the poorest social layer – peasants. It can not be denied that these are the most popular cases and this group concerns us the most.. Here are some of Dave’s notes about the most common statuses from the records. Not all peasants were equal in social and economic status. The top level peasant was the cmetho (also sometimes appears as “cmeto”) who often employed other peasants as helpers on his farm. The bottom level peasants owned no real property and depended on others for lodging and employment. “Cmetho” was pronounced with a hard “c” (like “cow”) followed immediately by the voiced consonant “m” and the short vowel “e” (like in “met”) and the slightly aspirated “th” (like in “them”) and the short vowel “o” (like in “obey”). So it would sound like “k” “metho” (like in “method” without the letter “d”. When it is written as “cmeto” it is pronounced as “k” “met” “o” (without the aspiration or “h” sound). In later Latin the pronunciation of some letters differed from the way those letters were pronounced in Classical Latin of antiquity so anyone who learned Latin using the pronunciation of Classical Latin would need to adapt their pronunciation to the changes of later Latin. Also, in the Latin of the Middle Ages and beyond there were regional variations in pronunciation—for instance the pronunciation of Latin in Spain or Italy would be softer than the pronunciation used in Germany. The “Slownik Laciny Sredniowiecznej w Polsce” lists no fewer than nine spellings for the word “cmetho”. The Polish for cmetho is kmieć. In the records where we see it the word almost always is used with the meaning which Władysław Niedźwiedzki lists as “włościanin bogaty, mający swoje gospodarstwo i role.” He also gives the etymology of kmieć as coming from the Latin comes, comitis, m. which has the most basic meaning of a fellow traveler or companion. In Roman imperial times it took on the meaning of courtiers or the members of the Roman imperial court. It is with this meaning that the word was used as part of the Medieval Latin vocabulary with the meaning of “count”. The Magna Charta begins by listing the titles of King John of England: “Ioannes Dei gratia rex Angliae, dominus Hiberniae, dux Normanniae et Aquitanniae, et comes Andegaviae…” (“John by the grace of God King of England, Lord of Ireland, Duke of Normandy and Aquitaine, and Count of Anjou…”). But then it seems that if kmiec comes from the Latin “comes” rather than from the Greek (cf. attachment) or the Persian as wikipedia states, then “cmetho” entered Latin as a translation of the Polish “kmieć” with the meaning Niedźwiedzki gives. So in a sense the etymology comes full circle. The nine variations of cmetho listed in the “Słownik Łaciny Średniowiecznej w Polsce” aka “Lexicon Mediae et Infimae Latinitatis Polonorum” are: cmetho, cmeto, chmeto, cantho, kmeto (really close to “kmieć”), qmeto, quetho, gmeto and queto. Cmetho was a regional Latin word found in the lands of the Polish-Lithuanian Commonwealth and perhaps in Latin documents in the lands of some of Poland’s closest neighbors but not elsewhere in Europe. Please note that the terms hortulanus and agricola have a meaning which is particular to the Polish territories which had been partitioned. Hortulanus is a gardener but not in the sense of someone who was employed in that occupation which today might be called a landscaper. There was a social and economic hierarchy among the peasants and both hortulanus and agricola specify classes of peasants. A hortulanus was a peasant who owned his cottage and enough land for a garden and perhaps for the keeping of some animals but did not own farm fields. An agricola was a peasant farmer who owned his cottage and farm fields who could be called a farmer-owner. The house numbers listed give the “addresses” of the parties at that time. The adjective “laboriosus”/”industrious” was used as a general term to describe peasants/workers. “Chalupnik” is Polish, not Latin, and is a term used to describe a peasant who owned his own cottage. Praeco, Praeconis, m. (also appears as preco, preconis, m.) is a Latin word originally found in Classical Latin and also was used in Post-Classical Latin. The basic meaning is that of a crier/announcer/herald. I’m not clear about what exactly was his job in rural Poland in the 1760s. In Medieval Latin the term was used to describe a royal herald and sometimes an announcer at fairs or an auctioneer. However, I don’t see a royal connection or a fair announcer/auctioneer in this time and place. Several Polish words of similar meaning come to mind: “obwoływacz miejski”, “woźny sądowy” and “głosiciel”. I consulted two Polish dictionaries from the early and the late 1800s with the hope that some light would be shed on what exactly someone with that occupation would do in rural Poland of the 18th Century, but, unfortunately, neither dictionary gives more than the basic meaning of the words. 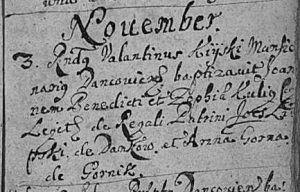 Perhaps someone in this forum may be able to shed some light on this 18th Century occupation. 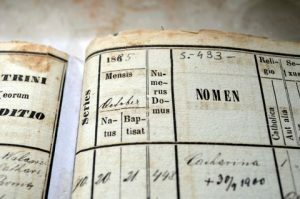 And here you can find the list prepared as a handout for a presentation given to several local genealogical societies to help clarify the social and economic status of Polish peasants as they appear in 18th and 19th century records. 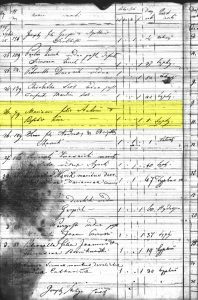 The 1704 marriage record of Adam Christman not only provides the basic family data of names and dates but also provides some information on how international events influenced the lives of people living in the area. The record mentions war and military operations which almost certainly refer to what was happening in that part of Europe during the War of Spanish Succession (1701-1714). This war was in many ways a “world war” in that it involved many countries of Europe like Spain, France, Austria, Bavaria, England, Portugal and the Low Countries. (Poland was not involved but was declining into what would result in the Partitions.) In the early period of the conflict to 1705 much of the the military action was taking place in northern France and southern Bavaria. This marriage record gives a glimpse of how the conflict influenced the civilian population of the area. On this page of the book, with the death records in the last column, there is the reason for death. As you can notice many people from this one page have the same word: typhus. Maryanna’s cause of death is typhus. The most common forms of typhus are epidemic typhus, which is spread by lice, and endemic typhus, which is spread by fleas. The more deadly form is epidemic typhus with a death rate of between 10 to 60 percent (10 to 100% without treatment and depending on the health of the individual and living conditions). It is correct that typhus is the most common cause of death listed on the page. Of the 12 deaths recorded, 9 list typhus as the cause of death. The deaths recorded all took place in a period of less than 10 days so it appears that the type of typhus was epidemic typhus, which has a number of symptoms which include high fever and delirium. Death usually occurs in two weeks from heart failure. 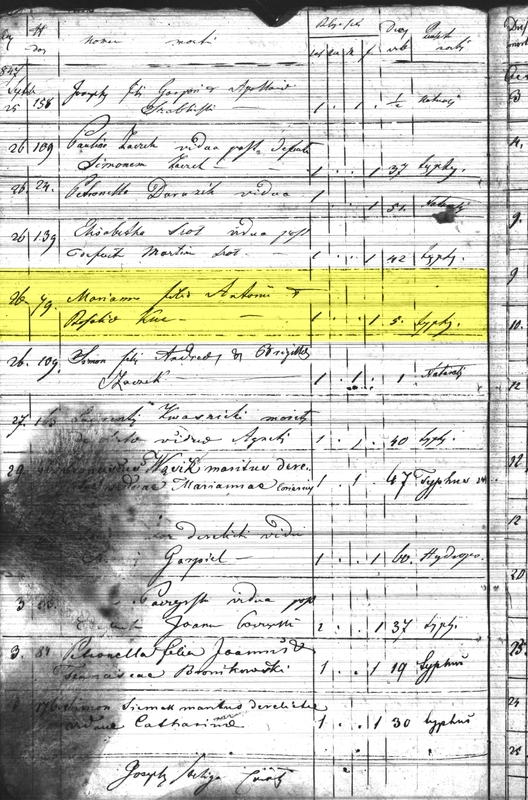 Maryanna was the youngest at 5 years of age and the oldest individual on the page was 67 years old. There are more deaths caused by typhus recorded on the page than appear at first glance because the handwriting varies and there are at least 3 distinct ways in which the word appears on the page. Another disease which at the time was common because of poor living conditions is cholera. Death records from 19th century Poland contain many examples of deaths which occurred in both cholera and typhus epidemics. 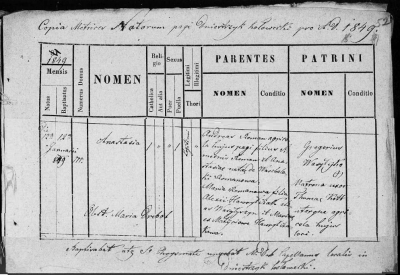 Here is the translation of the birth, baptism (and death) record of Elżbieta Marszałek. There are several items in this record which are worthy of note and deserve a detailed explanation. There are no sponsors/Godparents listed in the appropriate column. Instead a note appears there stating that the child was baptized by the midwife when there was a proximate danger of death. In fact, the baby did die on the same day she was born. The record does not state whether she lived for minutes or hours. Since the danger of death was grave the baby had no sponsors. Canon 743 of the 1917 Code of Canon Law states that pastors are to instruct members of the parish on what needs to be done in regard to baptizing a child who was “in periculo mortis” or “in danger of death.” The canon specified that the pastor was especially to instruct midwives and doctors about baptizing. My late mother-in-law was a nurse and part of her nursing training was devoted to how to baptize in an emergency. What would have happened if the baby had lived is that at some point relatively soon the child would have been brought to church where the various ceremonies which usually accompanied the essential part of baptism (i.e. the pouring of water with the appropriate words) would be “supplied”. Recently I’ve seen a statement in a well written guide for genealogy research by a reputable genealogist that a baby who was baptized in danger of death would be brought to church to be baptized a second time. The fact of the matter is that baptism is one of the three sacraments which Catholic teaching says are received once and cannot be repeated because they produce a permanent effect on the person receiving the sacrament. 5. Not all priests are saint. He was appointed as pastor of a parish but never actually set foot in the parish. He hired another priest to act as his substitute and spent his time with his mistress, who was a married woman, and in a local tavern gambling and drinking. When the bishop confronted him about his behavior, he confessed to his wayward life and was removed from the pastorate and the care of the parish was given to another priest. Ego Stanislaus de G. eccl. parochialis in Janowyecz* rector recognosco et me obligo, qui in ludo alee vel texillorum aut concubinatum aut marcari causa lucri aut apud ecclesiam meam non residere sine licencia episcopi. I, Stanisław of G(rzybowo), rector of the parish church in Janowyecz* recognize and acknowledge that I played games of chance or dice or kept a concubine, or for the sake of gain or profit or that I did not reside near my church without the permission of the bishop. Nos episcopus Ploc. etc. declaramus discretum* Stanislaum de G. presbiterem nostr(a)e dioc. fuisse et esse plurium scandalosum, videlicet adulterium, concubinarium, taxillorum lusorem***, in thaberna continue restantem ab ecclesiaque sua parochiali in Janovyecz per annos plures esse absentem. Propter hoc predictam ecclesiam in Janovyecz honorabili Mathie de Nowemyasto altariste Polth. commendamus. 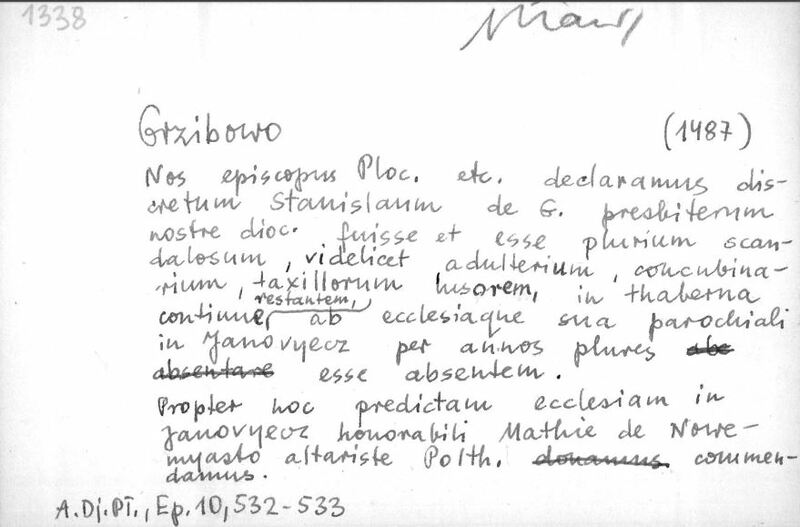 We [the “royal” plural], the bishop of Plock, etc., declare that “roztropny”* Stanisław of G(rzybowo), a presbyter (i.e. a priest) of our diocese, had been and is exceedingly scandalous, namely an adulterer, a “cudzołożnik”**, a player of dice***, continuously hanging around in a tavern and being absent from his parish church for many years. Because of this we commend (i.e. give) the previously named church in Janowyecz(?) to the venerable/honorable**** Maciej of Nowe Miasto, assistant priest of Polth(???) *****. Notes: *discretus/roztropny is most likely a term distinguishing social status in the late 15th Century as in the context it certainly cannot be describing his character as “wise or discrimating”. **concubinarius/cudzołożnik is not repeating the fact that he was an adulterer but rather that he had a concubine. His “woman” must have been married and so the adultery was on her part. Since he was not allowed to marry due to the fact that he was a priest technically he would have been a fornicator had his concubine been unmarried. From his part he was keeping company with his concubine. ***taxillorum lusorem/a player of dice: he was a gambler. One could say that he spent his time “drinking, gambling, and carousing with a wayward woman”. ****honorabilis/venerable/honorable: another term denoting social status. This adjective usually described a rural pastor or assistant priest. So is there anyone still thinking that Latin is dull and boring? As Dave concludes on one of his notes: “What fun would it be to do genealogy research if there were not a few problems/mysteries to be resolved?“. This text is the selection of some notes to Latin records translation written by David Nowicki, edited by Aga Pawlus. This entry was posted on Wednesday, March 29th, 2017 at 5:59 am and is filed under Polish History. You can follow any responses to this entry through the RSS 2.0 feed. You can leave a response, or trackback from your own site. I do endorse every word you have written. And I would add that Dave not only have an amazing, fantastic knowledge of the language, but also of history and the context things happened. By far, the best Latin expert I’ve ever met. Keep up the good work, Dave!